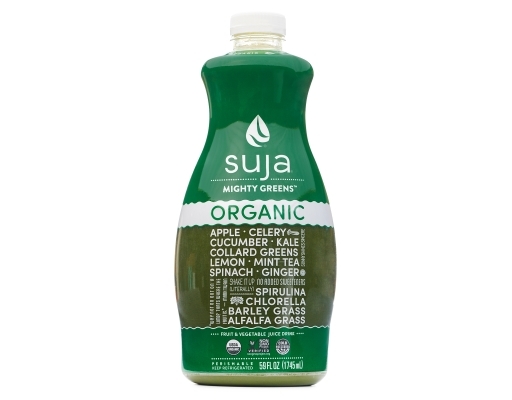 Made with the mightiest of greens like collards and kale, this vibrant and nutrient dense drink can make your body sing. 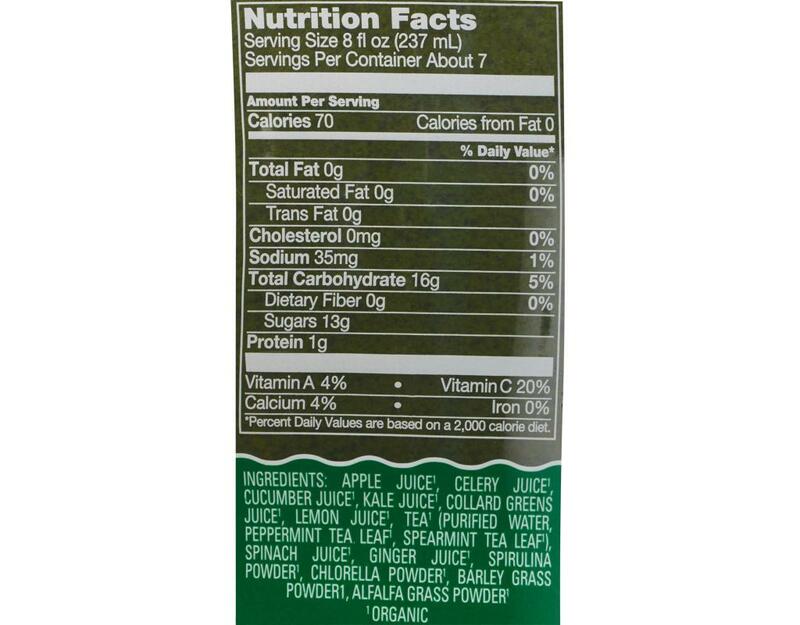 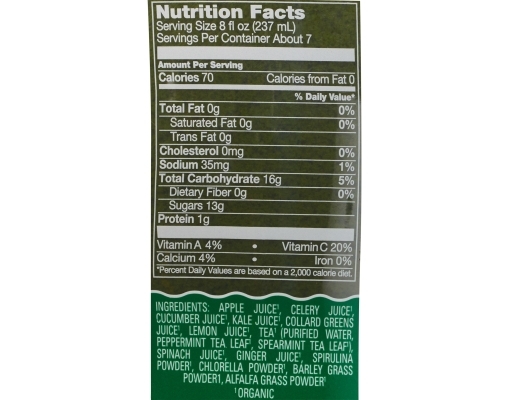 Mighty Greens contains apple, celery, cucumber, kale, collard greens, lemon, peppermint tea, spearmint tea, spinach, ginger, spirulina, chlorella, barley grass & alfalfa grass. 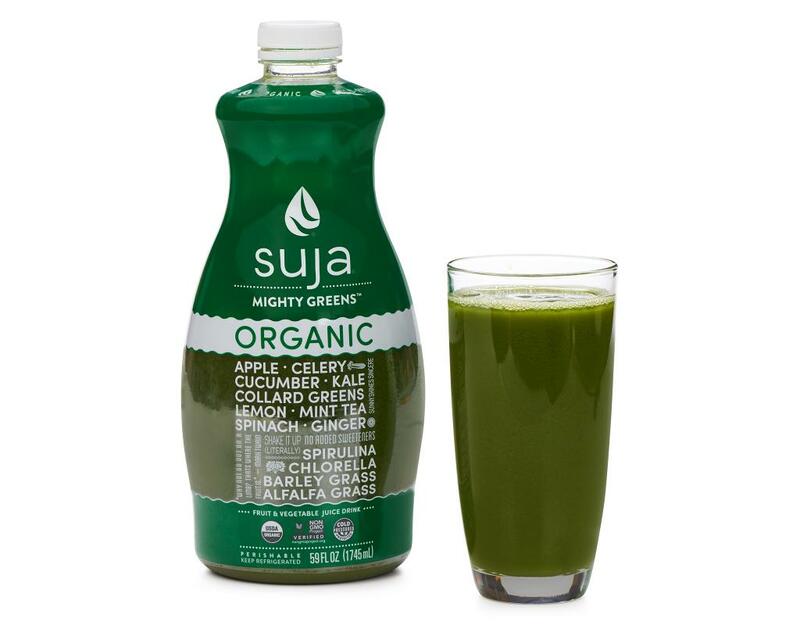 Suja uses Cold Pressure, also known as High Pressure Processing (HPP), instead of high heat, to extend shelf life & to help maintain essential vitamins, minerals & enzymes. 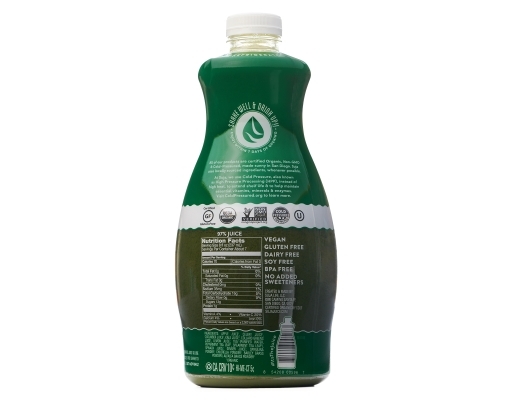 Apple Juice, Celery Juice, Cucumber Juice, Kale Juice, Collard Greens Juice, Lemon Juice, Tea (Purified Water, Peppermint Tea Leaf, Spearmint Tea Leaf), Spinach Juice, Ginger Juice, Spirulina Powder, Chlorella Powder, Barley Grass Powder, Alfafa Grass Powder.